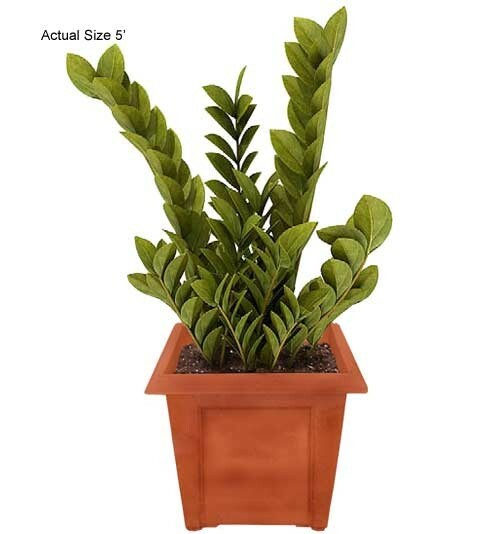 Small, quaint, and usually finding itself indoors as a potted plant or outdoors underneath large palm trees, the Cardboard Palm tree (Zamia furfuracea) is a delightful plant for any location indoors or outdoors. The Cardboard Palm tree is actually a palm like plant and is not a palm tree at all. It found its home amongst palm trees so many people consider this palm-like plant a palm tree. When young, the Cardboard Palm tree leaves are soft and pliable, as it matures, the leaves of the Cardboard Palm begin to stiffen and feel like cardboard, hence its name. The Cardboard Palm Tree is native to Mexico and has many common names such as Cardboard Palm, Cardboard Plant, Cardboard Sago, Cardboard Cycad, and Mexican Cycad. 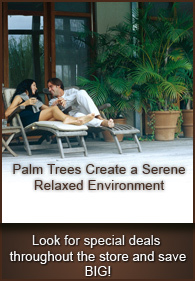 The Cardboard Palm Tree is easily maintained and grows to a maximum height of around 4-6 feet tall. It is slow growing and can be considered cold hardy because it is known to handle temperatures down to 25 degrees F. It makes a great indoor plant or our door plant.